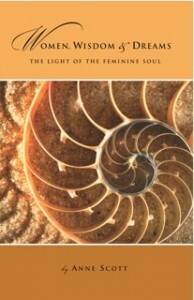 In this elegant and practical guide on feminine wisdom and dreams, Anne Scott leads us into a deepening relationship with our dream world, not only to help us understand its personal significance, but also to use the insights we uncover there to help heal our world. Asking us to cultivate a courageous attentiveness to our inner lives, Anne provides valuable tools for restoring the link between feminine spirituality and social change. Publishing this book is a testimony to the power of women’s desire to find their own voice. Publishing women’s dreams, hopes and wisdom in an accessible form will benefit many readers.